Based in Vancouver, British Columbia, RSA Academy remains dedicated to building the acting, musical, and performing skills of children, teens, and young adults through an innovative curriculum. RSA Academy offers a broad spectrum of acting and singing classes, focusing on elements such as stage presence, improvisation, character development, choreography, and auditions. In addition, a variety of television- and film-specific classes focus on live performance, three-camera format training, and on-set techniques. 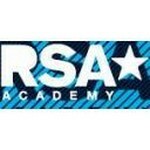 Join Today to follow and contact RSA Academy.